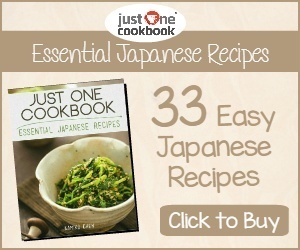 Are you looking for a truly unique Japanese experience? If you answered ‘yes’, then I have just the tour for you. TABICA is a Japanese tour company established in 2015 with the vision of “connecting people by trips”. They offer fun and unique cultural experiences that allow you to “dive into the life of locals” and experience the real Japan. 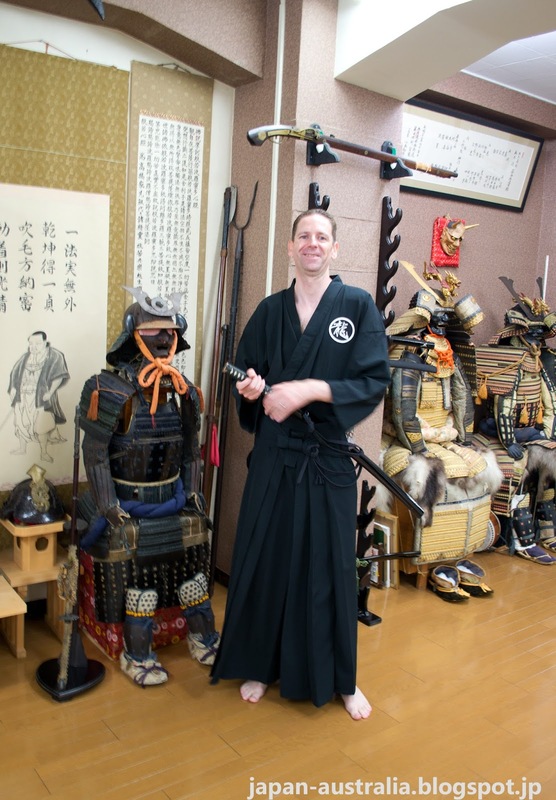 Each tour is accompanied by an English interpreter, who helps break down the language barriers between foreign tourists and Japanese local hosts, who are monks, geisha, farmers, chefs, bushido masters and many more. 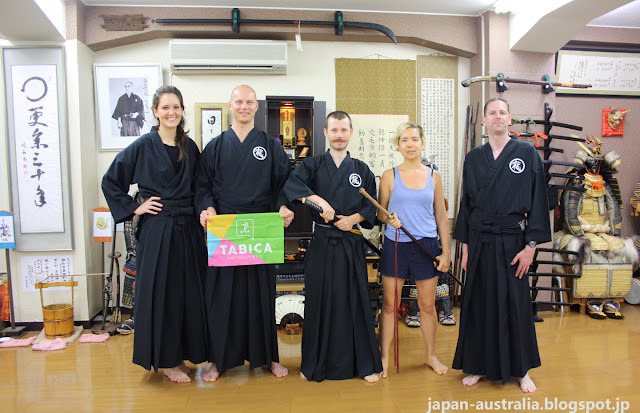 Some of the many tours on offer include; a day with a Buddhist monk at a temple, a day with a bushido (Japanese sword) master at a dojo, a day working with organic farmers, and a day with a soba making master. 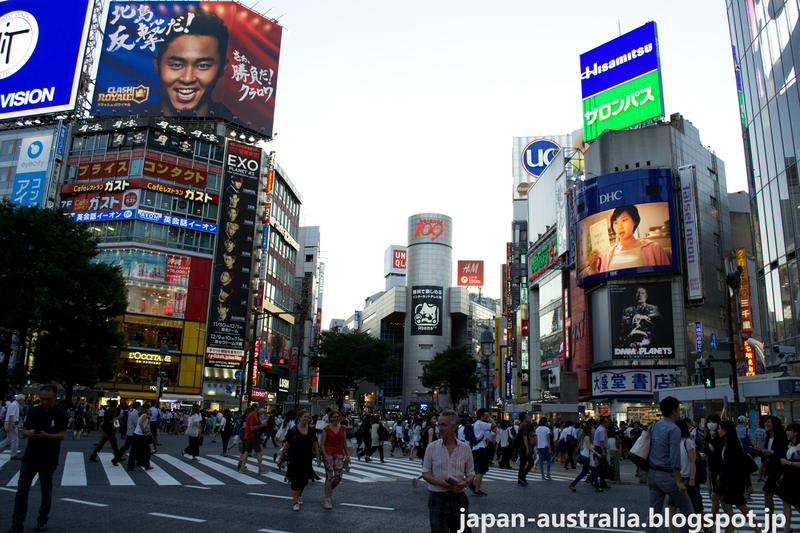 The tours are located at various places around Tokyo, all within one hour of the Tokyo Metropolitan area. I was recently invited along to participate in their “A Day with a Bushido Master” tour, which I accepted with open arms as a huge samurai culture and history fan. 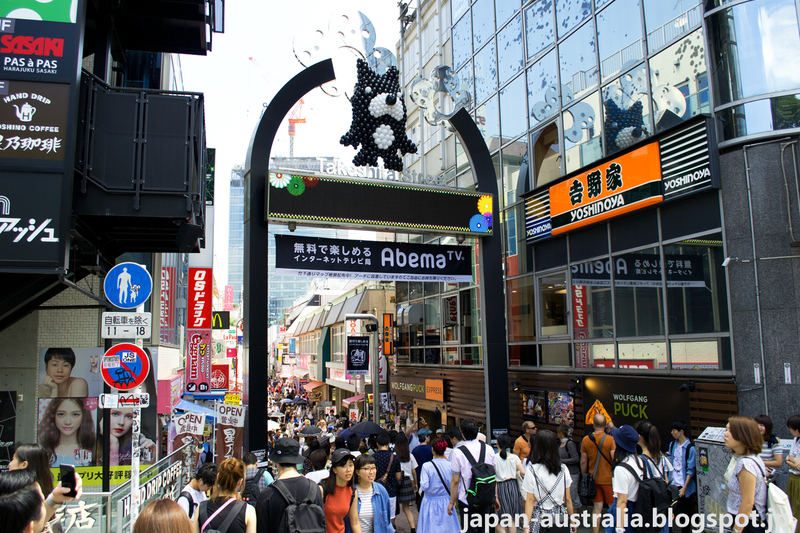 After a brisk 90 minute ride on the Nozomi Shinkansen (bullet train) from Gifu, I arrived in Tokyo, where I made my way to the TABICA office located just off the famous Takeshita-dori street in Harajuku, Tokyo. The TABICA staff is available to meet you at their office, or in front of Harajuku Station. The tour heads off as a group with an English speaking interpreter, who is extremely friendly and knowledgeable about the subject matter leading the way. 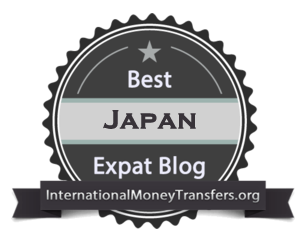 They also speak excellent English which is a big relief especially if you can’t speak a lot of Japanese, or are new to Japan, as a first-time visitor. We arrived at the dojo (training hall) located near Kudanshita Station on the purple Hanzomon Metro line in the early afternoon. The dojo is located on the second floor of an old building and is full of authentic samurai armour, swords, tsuba (samurai sword guards) and pictures. 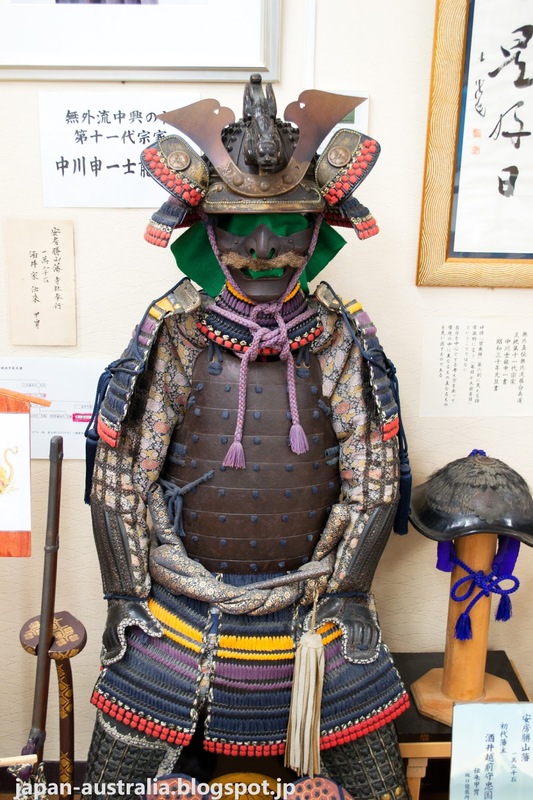 The oldest piece of samurai armour dates from the 17th century and once belonged to a famous samurai in the Kanto region of Japan. First, we get dressed in our traditional Japanese clothing, which is called keikogi (稽古着) and is the uniform used in martial arts or bushido training. It includes a hakama (袴), the clothing of a samurai, gi (着) and obi (帯). This isn’t as easy as it sounds and actually takes a little bit of work with all instructors on hand to help get us dressed appropriately. 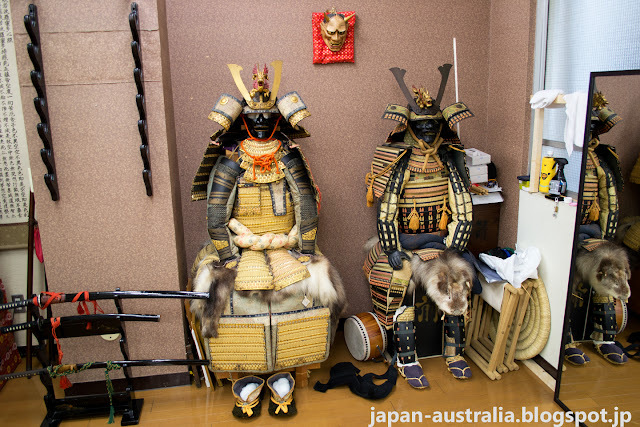 You certainly feel the part if not look it in these traditional bushido clothes. Second, we learned the correct way to enter the dojo and start the training. 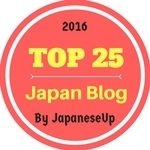 This is very important in Japanese culture and is called aisatsu (formal greetings). To learn how to do these greetings properly would take a full day’s training. Not much fun, so we did a short condensed version that teaches you the basics to get started. Bow to enter the dojo. Enter the dojo with your right foot, if you are standing on the right side of the room and left foot, if standing on the left side. This is very important and is done as to not step on the kami (god) of the dojo. Bow to the master and then bow to Amaterasu (the sun goddess), who is famously enshrined at Ise Grand Shrine in Mie Prefecture. The goddess can magically visit the dojo via a mirror which is placed in a small shrine on the wall of the dojo. This shrine is called the showmen, and is usually at the front of the dojo. 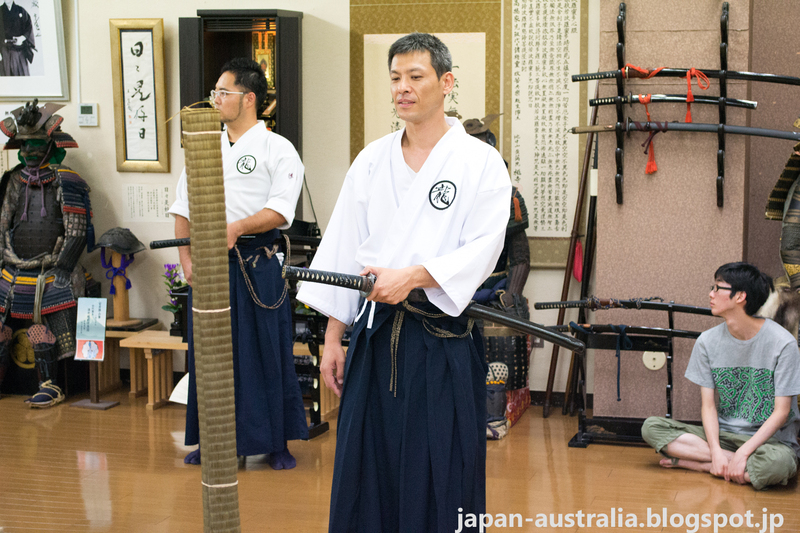 There are many different styles of sword fighting in Japan that have been passed down from generation to generation and from master to master. 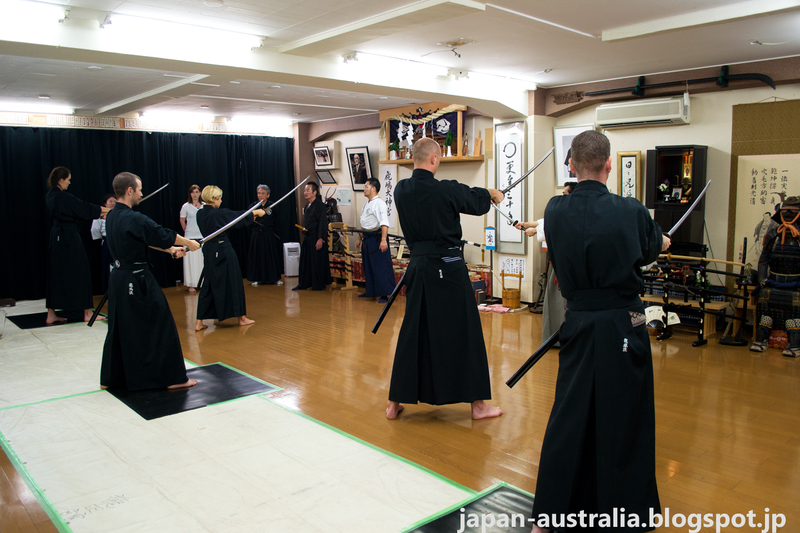 This school teaches Iaido (居合道), which is a modern Japanese martial art that focuses on the quick drawing of the sword, a resolute attack, and a smooth withdrawal. The first thing to learn with the swords is how to draw them from the sheath and hold them correctly. This luckily isn’t too hard to learn and can be picked up quite quickly. You learn which part of the sword is best for striking and how to wield the sword in both hands. The key is 80% of the gripping power is in the left hand, while 20% is in the right, which is mainly used for guiding the sword. You also learn the correct stance with right foot forward, well balanced posture with lose shoulders and relaxed hands. There are also many different kinds of sword strikes or cuts, so we learn the basic two of straight cut (makko giri) and diagonal cut (kesa giri) using practice swords. After practicing the two different strikes via kata (set movements), it was time to put the strikes into action and actually cut something with real swords. Away went the practice swords and out came the shinken, a razor sharp sword. You get to practice the strikes by cutting wet tatami (straw) mats, which have been soaked in water for several days. They actually smell quite fowl, but do a good job of simulating the limbs of a human body. Surprisingly it doesn’t take much effort to easily cut through the mats with the razor sharp swords and is like slicing through butter with a knife. Last of all after working up quite a sweat, it was time to watch the master and his instructors in action. Sitting on the wooden floor of the dojo and watching their precise, graceful and powerful movements was a treat and something that I will soon not forget. It is easy to tell that they have been practising this art for many years and have a great knowledge and experience in handling the swords. 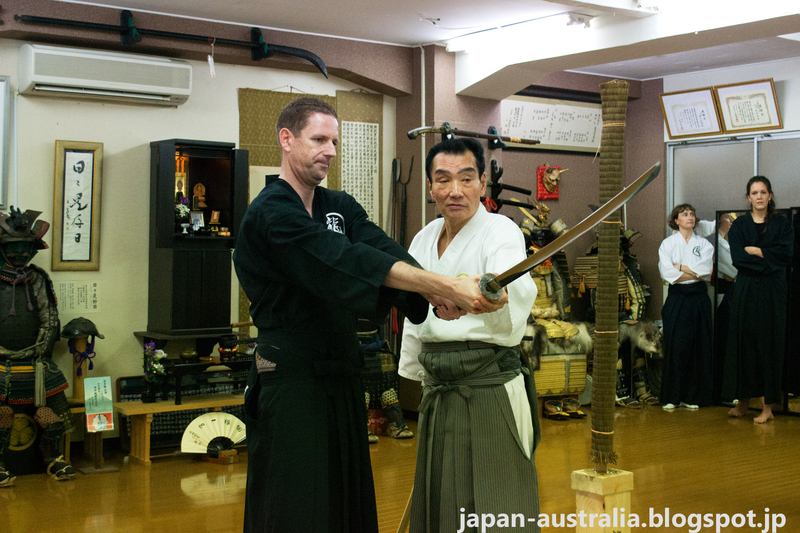 I really enjoyed my interactions with the instructors and the sword master, Mr Sakaguchi during the tour. It was great to be able to find out the history behind the samurai armour and various tsuba on display. 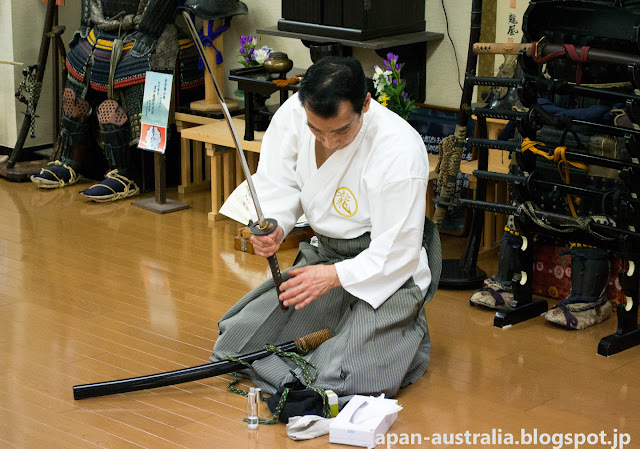 The master also visits Gifu on a regularly basis as Seki City in the Mino region of Gifu Prefecture is a famous sword-making area, that has been producing high-quality blades since the 13th century. Mr Sakaguchi has a great sense of humour, telling us funny stories as well as many Japanese proverbs (kotowaza), which originate from samurai culture and samurai swords. Most of our interaction is in Japanese, but he throws in a little English now and then, which always brings a laugh. 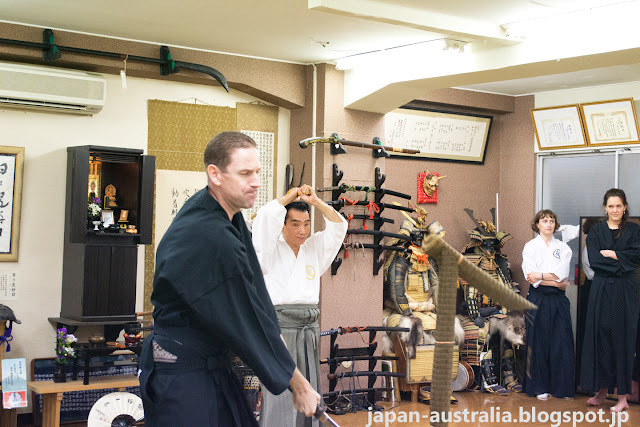 I highly recommend this tour if you like me have an interest in traditional Japanese martial arts and samurai culture. It was an amazing experience that I will never forget. 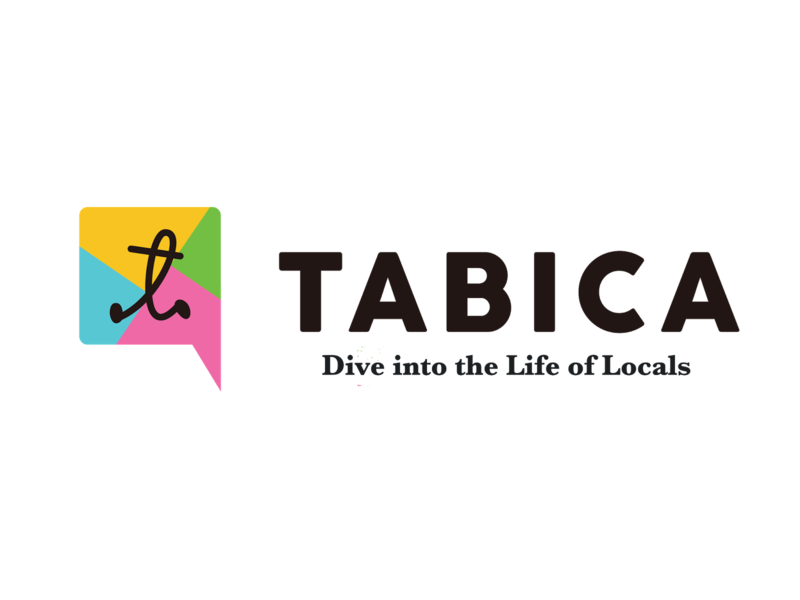 If you are interested in joining a TABICA tour, check out their website, or contact them via email (info-en@tabica.jp). Tell them John Asano from Japan Australia sent you and you are bound to receive the VIP treatment. Hi Lina! Thanks!! 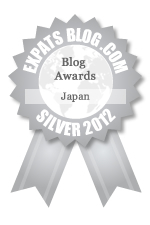 It was a fun experience and one that I can highly recommend.